The inevitable is happening—you’re planning a relaunch or a website redesign. While “ugh” might be your first thought, your hopes are still high. A new design and new experience will increase your bottom line …right? 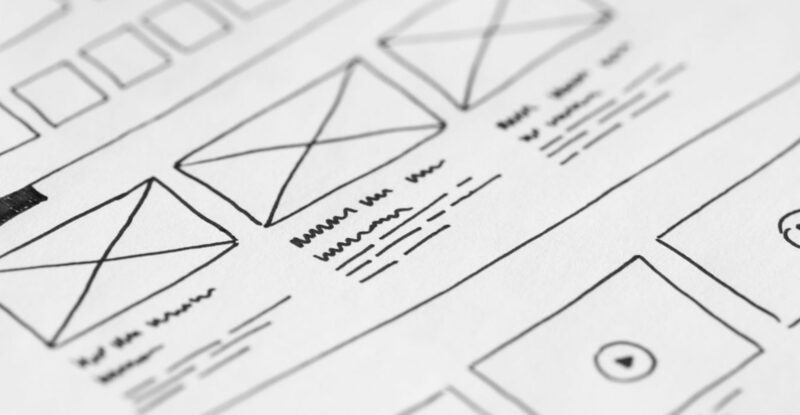 Redesigning your website can absolutely facilitate those expectations – but we’ve seen many more mishandled with aspects forgotten, ignored, or simply botched. Below we’ll cover nine ways to involve an Analyst in the plan in order to to avoid common mistakes (and maximize return-on-investment). Work with your analyst to determine which device types and browsers are most important to optimize for. Not all are created equal (to your business)! With 0.001% of your conversions coming from Xbox One and Playstation last year, do you really need to worry about them? This is obviously an exaggeration, but knowing that 95% of your conversions came from Chrome, FireFox and Internet Explorer can really help prioritize your efforts. There are a lot of screen sizes out there, but which ones visit your site most frequently? Which convert the most? Similar to device type and browsers, involve your analyst to help determine which are the most important! Conversely, this is always a good time to recognize screen sizes that have had difficulties in the past, and make sure it doesn’t continue (if the traffic/conversion levels warrant the focus). There isn’t a sexier topic than data governance! A redesign is the perfect time to make sure naming conventions across all platforms that use web data are aligned. This goes hand in hand with updating or creating documentation for all data platforms as well. With the site being “reborn” at this point you’ll be able to start fresh and keep documentation aligned with all future updates easily. With the marketing-tech stack exploding with all sorts of possibilities over the last decade, one reason for slow page loads could be due to tons of marketing tools being used on site. An analyst can help you crawl the site to determine where tools are being used, and determine which tools are providing value. If you happen to be upgrading to Universal Analytics from Google Analytics be sure to check out these tips as well. We like to use Ghostery and the ObservePoint TagDebugger plugins to show us what tools might be running on a page. Note that this is a very manual process, though, and we’d recommend a more robust tool like screaming frog if you’re evaluating a whole site. For more Analytics Chrome Extensions, check out Kevin Rutter’s post here. Have you ever had a page load slowly? Us too. An analyst can assist in determining the most problematic areas of the current site. Combining with reasons #1, #2, and #4, an analyst can help uncover the current pain points of the site. This can take a quantitative approach by surfacing the pages with load times above 1.5x the standard deviation for all of last year’s data or more qualitative by ranking all pages by their exit rate and reviewing their content to determine if these are real exit points or if we’re losing our audience due to something. As websites grow they naturally add content. This is generally a good thing, especially when it’s RCS, but we’ve all seen websites. Use this as a time to evaluate the content on site based on what’s being viewed and driving or assisting conversions, or conversely what content isn’t helping drive the business. By nature the web is always changing, and this means that web analytics is constantly falling apart too. A website migration is a costly endeavour and this usually means that there are many eyes on the effort looking for a return. There’s nothing worse than realizing that tags weren’t migrated correctly or at all a month after a site migration! Work with your analyst to develop a sound tagging/measurement migration plan, and work together to make sure that it gets executed and tested. This one goes hand in hand with #7. With a proper migration plan it becomes much easier to spot early warning signs that something’s gone wrong. You can work with your analyst to set up a wide variety of alerts (both Google Analytics and Adobe Analytics). If this doesn’t fit what you need, a custom script might be able to do the trick if your analyst has development chops. Outside of this, though, good ol’ fashion manual checks might have to be used. Analysts thrive on finding insights and using them to make an impact on the business. Whom better to involve in setting your KPIs? Furthermore, your analyst should be a wiz at how to translate business goals to onsite user actions, which ties back to #5 and #7 on this list as well. Beyond this an analyst can help benchmark old KPIs so that appropriate goals and projections can be set for the new site. This will help not only understand where you’re coming from but what you and others can likely expect from your new site. If you’re planning a major redesign of your website, or will be soon, consider bringing on an Analyst, or Analytics team, at the early onset stages of relaunch. By following the above 9 recommendations, you’ll be able to maximize ROI from a redesign by avoiding common mistakes made without an Analyst.